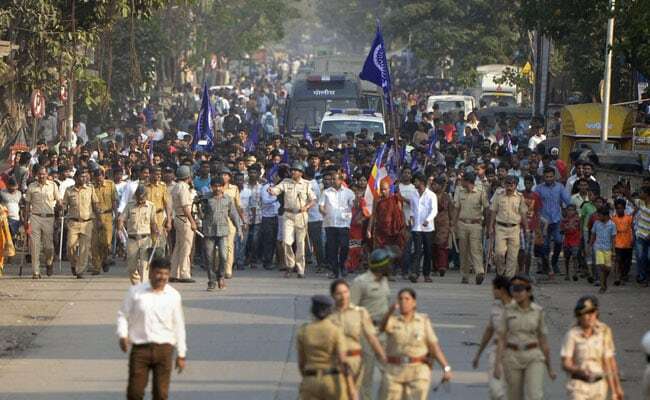 The police had submitted a report to the state home department, which mentions that an elaborate online campaign was launched to highlight the Bhima-Koregaon violence at international level, a senior official said. Around 250 Twitter handles were created to spread misinformation about the Bhima-Koregaon violence and to mobilise support for allegedly holding demonstrations abroad to defame the Modi government, Maharashtra Police said on Wednesday. "A deliberate mobilisation and misinformation campaign was carried out on social media by circulating videos and speeches on the Koregaon-Bhima violence," he said. As a result of this campaign, there was "a large-scale mobilisation" in the UK and a "known group" supported these protests, the official said, but declined to name the group. He further said the police has found 'suspicious videos' of speeches in which activists from the UK can be heard talking about the Bhima-Koregaon violence. Protests were held in front of the Indian High Commission in London in mid-January to condemn the violence that broke out on January 1 during the 200th anniversary celebrations of the Battle of Bhima-Koregaon in Pune district. "We suspect that such demonstrations were held to ensure negative publicity and to defame Prime Minister Narendra Modi's government," the official said. "Police usually monitor activity on social media and send hundreds of reports to the government," he said.